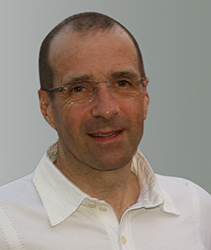 Dr. Timothy Kalla began the practice in 1991 on West Broadway in the heart of Kitsilano. In 2013, after 22 years on West Broadway, the practice relocated to a brand new, modern space on Burrard Street and was renamed Burrard Podiatry. In 2010 Dr. Anthony Yung was welcomed into the practice. Dr.’s Kalla and Yung are both native Vancouverites who are Board Certified podiatrists and Fellows of the American College of Foot and Ankle Surgeons. They treat a wide variety of foot ailments including, but not limited to, bunions, hammertoes, corns and calluses, heal pain, neuromas, ingrown nails, flat feet, ankle sprains, sports or other foot injuries, and diabetic foot management. People with diabetes have unique and often challenging foot care needs. Dr.’s Kalla and Yung are experienced in treating foot complications related to diabetes, including calluses, infections, wounds or ulcers. They also offer foot screening for risk assessment, with a view toward prevention of complications from diabetes. Dr. Timothy P. Kalla obtained his Bachelor of Science (BSc) degree from the University of British Columbia and his Doctor of Podiatric Medicine (DPM) from the Temple University School of Podiatric Medicine in Philadelphia. He completed a residency in foot surgery at The Washington Hospital Centre in Washington, D.C. He is Board Certified by the American Board of Foot and Ankle Surgery and is a Fellow of the American College of Foot and Ankle Surgeons. In 1991 Dr. Kalla returned to Vancouver to begin a private practice specializing in medical and surgical management of the foot. 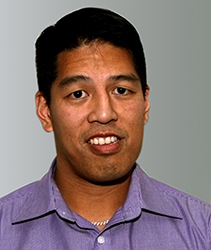 He is an allied health professional staff member at Providence Healthcare and Vancouver General Hospital. In 2001 he was appointed Clinical Instructor at UBC in the Department of Surgery (division vascular). Dr. Kalla has surgical privileges at Providence Health Care (Mount St. Joseph Hospital) and Ambulatory Surgery Center, (ASC-Vancouver.ca). Dr. Kalla has a close working relationship with the Vancouver medical community. Dr. Kalla has a particular interest in Diabetes and has served on the Canadian Diabetes Association 2008 Canadian Foot Care Guidelines Committee. In 2001 he founded the annual “Live Well With Diabetes” health care professional’s seminar and public forum. This annual event has provided more than 3,000 diabetes calibrated holiday meals for Lower Mainland residents. He holds an appointment with BCDiabetes.ca. Dr. Kalla is an experienced leader in his field lecturing on foot conditions in diabetes nationally and internationally. He has received numerous awards from the Canadian Diabetes Association recognizing his work. Dr. Kalla was the team podiatrist for the former Vancouver Grizzlies NBA team and is team podiatrist for the Vancouver Whitecaps. Dr. Anthony Yung was born and raised in Vancouver and completed his Doctor of Podiatric Medicine (DPM) in 2001 at the Dr. William M. Scholl College of Podiatric Medicine at the Rosalind Franklin University of Medicine and Science Graduate Medical School in Chicago. He successfully completed a 3-year residency in reconstructive foot and ankle surgery and diabetic limb salvage at the University of Texas Health Science Center in San Antonio where he was chief resident from 2003-2004. Upon completion of his residency, Dr. Yung entered private practice in Silverdale, Washington, where he was on staff at the Harrison Medical Center and served as co-director of the Harrison Medical Center Wound Care Center. In 2010, he was recruited to come back to Vancouver to enter into practice with Dr. Kalla. Dr. Yung holds allied health staff privileges at Vancouver General Hospital, where he is on staff at the the VGH Foot Clinic and provides weekly educational talks at the VGH Diabetes Centre. Dr. Yung also holds surgical privileges at False Creek Surgical Centre in Vancouver (falsecreekhealthcare.com). Dr. Yung is Board Certified by the American Board of Foot and Ankle Surgery and is a Fellow of the American College of Foot and Ankle Surgeons. He specializes in foot injuries, foot surgery, and complex diabetic foot complications. Some common procedures performed in an outpatient setting include forefoot reconstruction, revisional surgery, fracture repair, joint fusions, bunion and hammertoe correction, neuroma resection, plantar fascia surgery and nerve entrapment release. Dr. Yung enjoys road and trail running and recently completed his first Ironman triathlon in Penticton.